Only eight crazy nights left until Christmas! Whatever. I’m not worried. That’s a lie… Anyone else feel a slight panic attack coming on? I have been so behind this year thanks to the 5 weeks of sickness holding us hostage. I was down for three weeks in November, and my girls have been sick the last two weeks. I swear if hubby gets sick for Christmas I’m hitching a ride back to the North Pole with Santa. Living with elves in a constant frozen land of winter is far less painful than dealing with a sick hubby. But, I digress. Since I am pressed for time I found a few cheats to help me with my baking and gift giving. This week I am sharing a couple of quick ideas. Buy quick I mean just throw it together and it looks like you spent a lot of time making these! Aunt Betty stopping by suddenly? Whip up a super simple batch of sugar hand scrub. Forgot about the PTA Holiday shindig and no time to bake? 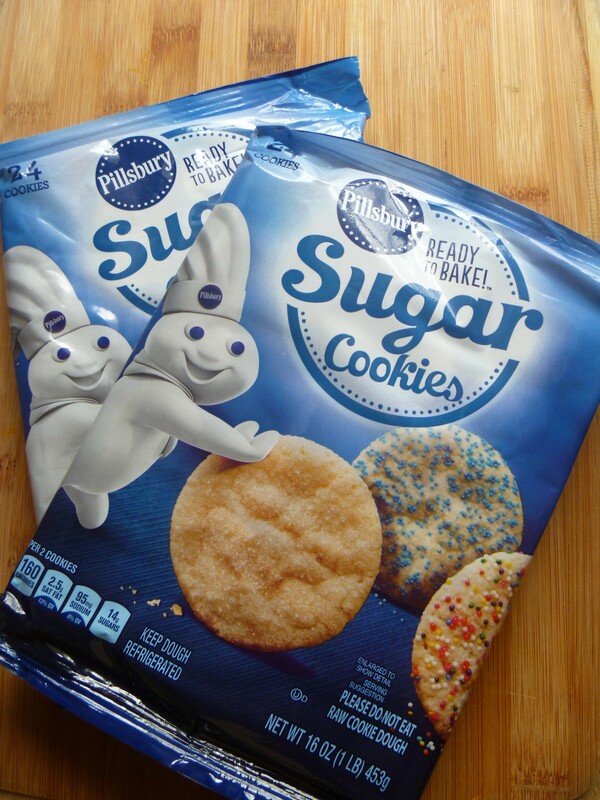 Grab a little help from Little Debbie, or try my cheater sugar cookies! I know this says 3 hacks- but there’s a bonus hack at the end so simple a 4 year old can do it! Homemade hand scrubs pamper the hands that take such good care of your little ones. It’s called Wild Orange because that’s the scented oil I used. Thanks to my friend Holly over at Union Health and Wellness, I was able to whip up a quick batch of hand scrub for teacher gifts. If you don’t have essential oils on hand you can use pure vanilla extract. Holly also has a recipe for a brown sugar hand scrub that is easy and so good! 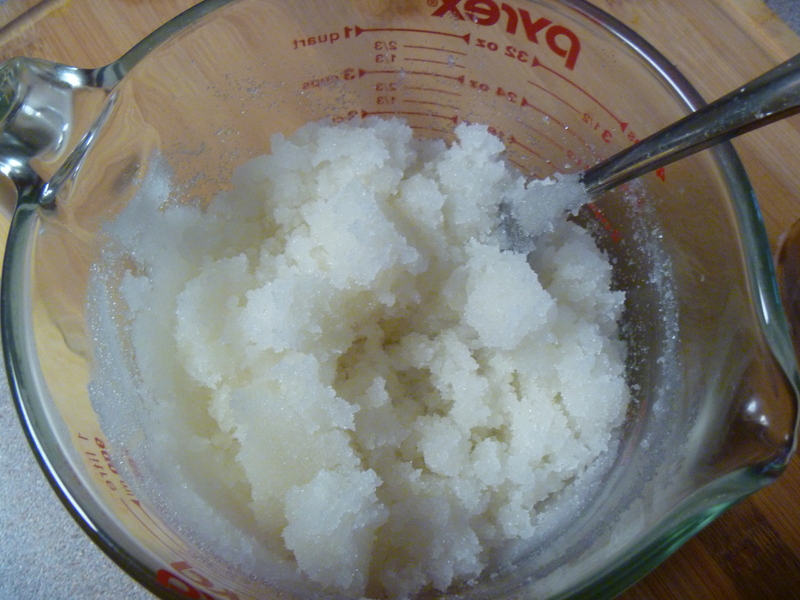 Homemade sugar hand scrub is useful and so easy to make! Simply melt coconut oil in microwave. (Allow to cool 1-2 min. before adding to sugar). Slowly poor oil into sugar and stir to combine. Add your essential oil, or vanilla. 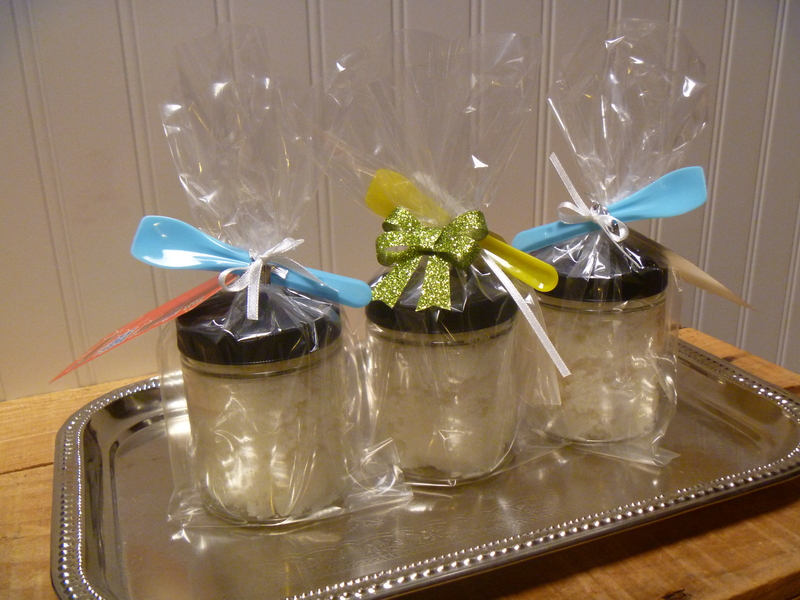 Spoon mixture into mason jars, or pretty jar you recycled. Thank you Liz at Wildtree for sharing these beautiful jars with me! 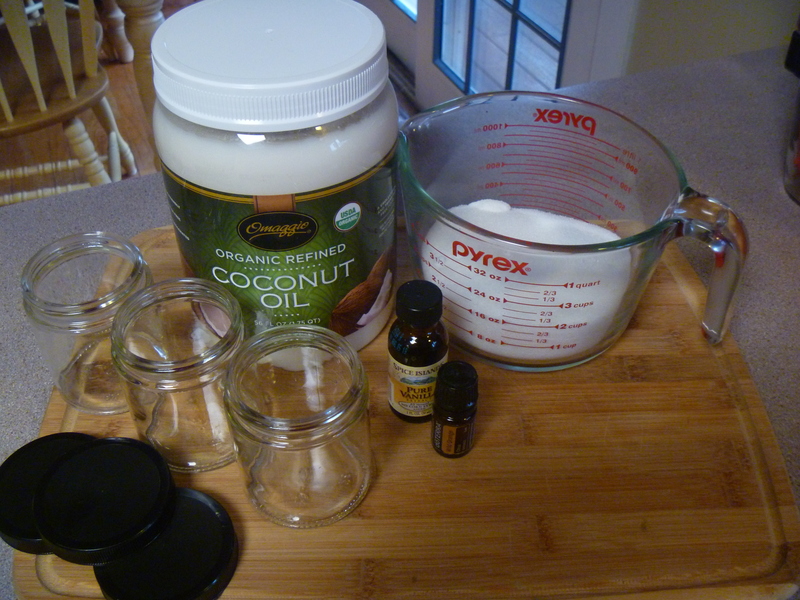 Coconut oil and sugar mixture should be grainy, but not runny. You don’t have to be crafty to make these and you won’t spend a lot of time on them either! 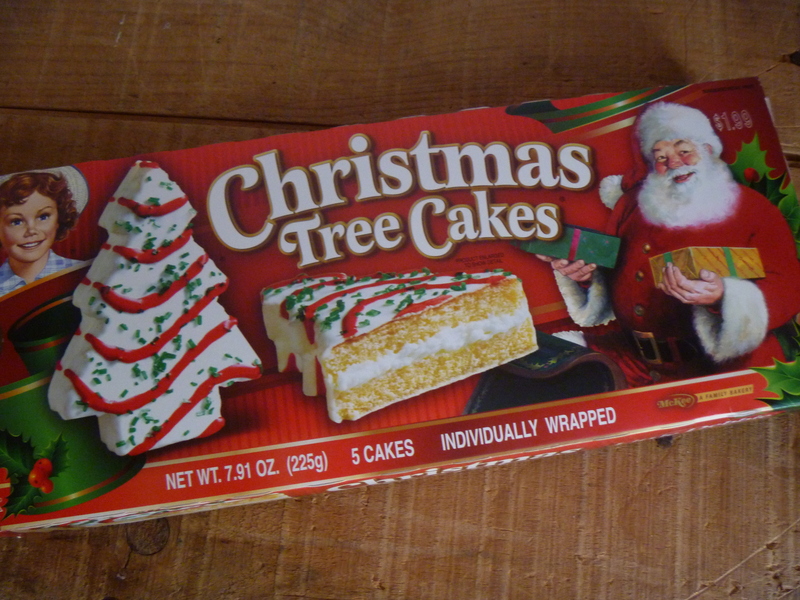 Unwrap tree cakes, place on plate or cutting board. 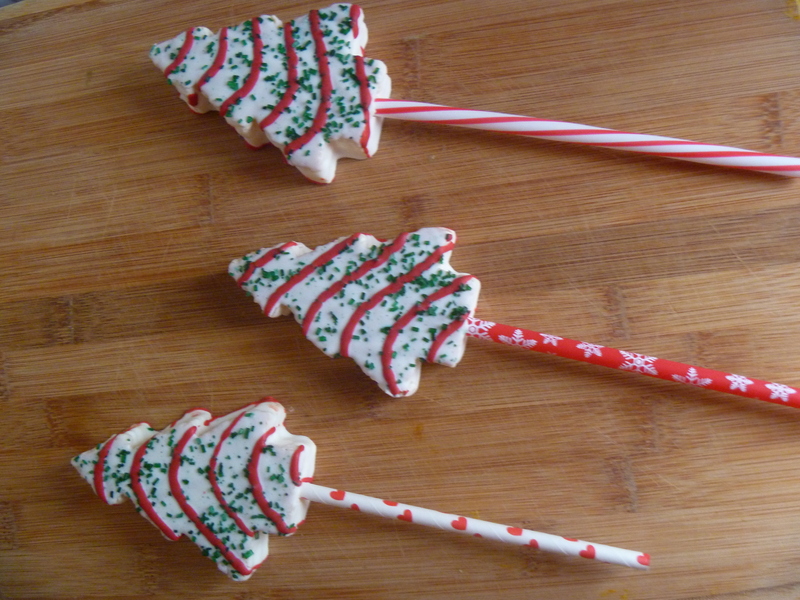 Insert a lollipop stick into bottom of tree. If you do not have sticks you can use a cute paper straw. Use lollipop sticks, or paper straws. 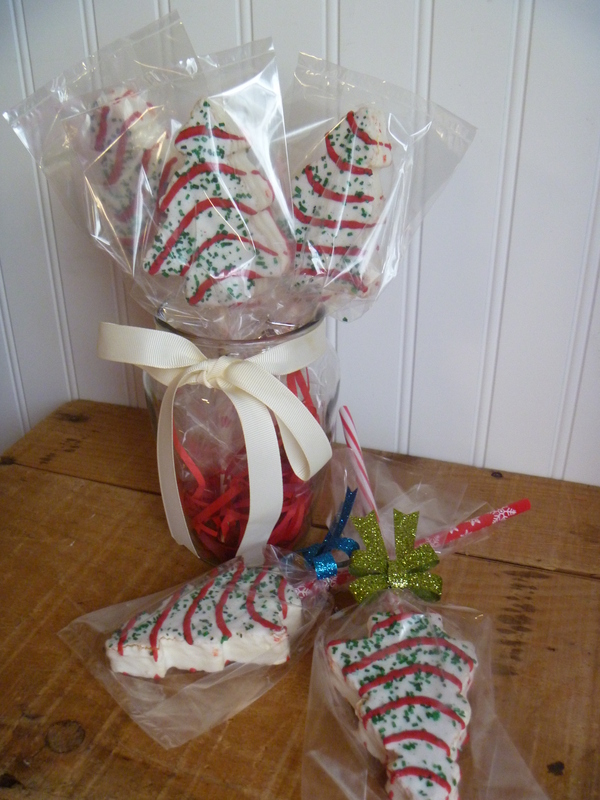 Use a clear, medium sized treat sack to package the cakes. Tie with a bow, or use a twist tie to finish. If you can not tie a bow you are not alone! Michael’s sells these awesome pre-made bows on a … twist tie!! Super easy!! Cute favors for a party or quick add ins at a bake sale. Break apart cookies no fuss, no muss! Allow dough to set at room temp for about 10 minutes. Empty tube of dough into bowl and add in M&M’s and mix by hand. Now drop spoon fulls onto cookie sheet and bake according to package directions. 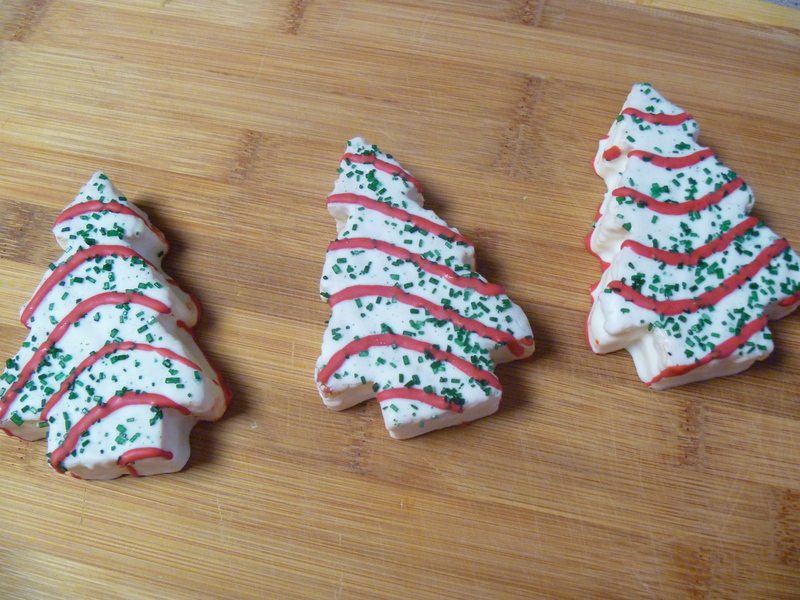 For break apart sugar cookies: bake cookies according to directions. Next, melt white chocolate chips in microwave (or double boiler), dip one half of cookie into chocolate and THEN dip just the edge into colored sugar, or crushed up candy canes. Done. Yep, done. Oh wait, I should mention place cookies on a wax paper lined plate or cookie sheet to cool. If you need them to cool quicker place in the fridge, or freezer until chocolate is set. O.k. this one isn’t really a hack, but it is a quick and easy idea for a last minute thoughtful gift. Add a lotto ticket and hand out to mail carrier, attach to your neighbors Christmas cards, or keep on hand for that unexpected guest. Remember I said so simple a 4 year old could do it? That’s because my 4 year old came up with this on her own! Whatever Mom is so proud of her little Whatever kid. 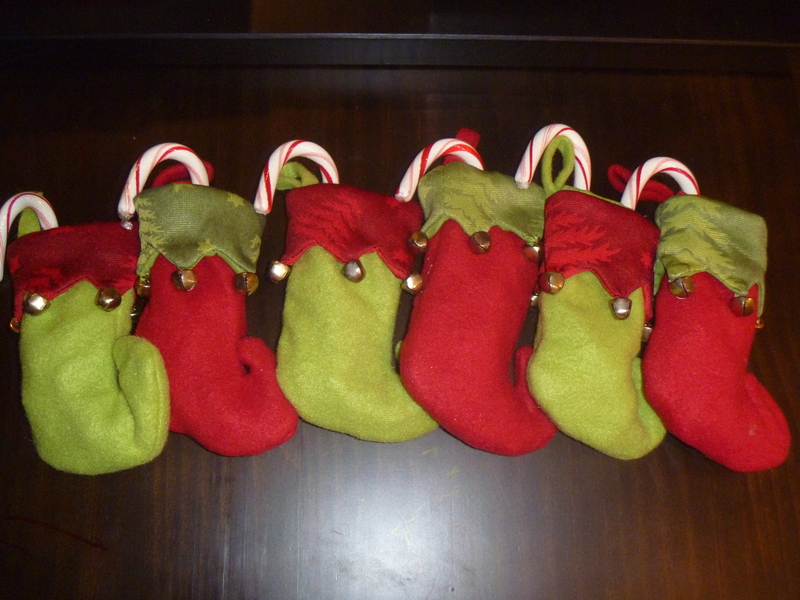 She found these little stockings (or jingle shoes as she calls them) hiding in a box of left over decorations. “Whatever Kid” made these for her “teacher friends.” She stuffed each one with Hershey Kisses and a candy cane. The best part is she found something we already have and just added a little something to it. No, I’m not crying. I think I have a little tinsel in my eye. A simple gift from a child is sure to brighten anyone’s Christmas. Wishing you all a very Merry Christmas and all the time you need to get it done!!! If you like this blog, please share with friends and ask them to follow along! You will earn the chance to win a $25.00 Gift Card to Toys R Us! If we get to 500 followers by Christmas I will announce a winner!